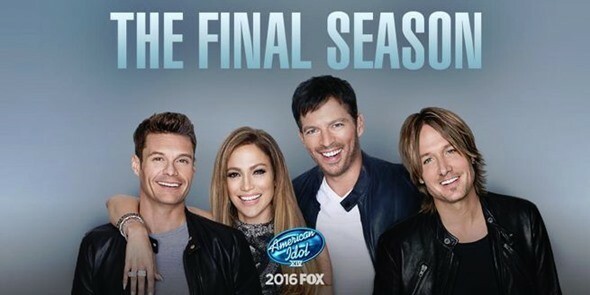 A couple months ago, we reported that all the previous judges from American Idol would return for the final season. Now, it’s been announced that past winners will appear on the farewell season of FOX’s long-running singing series. The final season premiered on January 6th. At the winter TCA press tour, the series’ executive producer Trish Kinane announced first-season winner Kelly Clarkson will appear as a guest judge on the first live episode. Word is previous winners and finalists David Cook, Jordin Sparks, Ruben Studdard, Kris Allen, Scotty McCreery, Lauren Alaina and Nick Fradiani, who won last year’s season, will also make an appearance throughout the season. So far, the last season of American Idol has pulled in strong ratings for FOX. The premiere on January 6th netted nearly 11 million viewers. What do you think? Are you a fan of American Idol? Who’s your favorite winner from the series? Who’d you like to see return? More about: American Idol, American Idol: canceled or renewed?, FOX TV shows: canceled or renewed? How do you get tickets to the finale? The only winners I’m interested in seeing are Carrie & Scotty. I haven’t watched IDOL in several seasons, (don’t like JLO) also gave up watching The Voice because I don’t like Gwen. I like Lauren A. too. I will put it on DVR so I can skip through everything else.